With a seemingly wobbling world economy, the precious metal has again become more attractive for investors. For those looking to buy gold online for the first time, the options can seem bewildering. Senior bullion dealer Oliver Temple gives a brief guide to investing in gold. Historically, gold has always performed well in times of economic uncertainty. After the financial crisis, gold jumped to record highs of $1,900 an ounce. As the Chancellor said at the beginning of the year, 2016 could see the UK’s economy facing a “cocktail of threats’. China’s slowing economy, low crude oil prices and the Greece bail-out situation could be affecting generally the rising gold prices we have seen since the beginning of the year. There has been the US interest rate rise in December and there is uncertainty for our own economy surrounding the possibility of the UK leaving the EU. Gold, it seems, has its shine back. My advice may surprise investors. Gold prices can rise and fall so putting all their portfolios into gold would, I suggest, would extremely unwise. 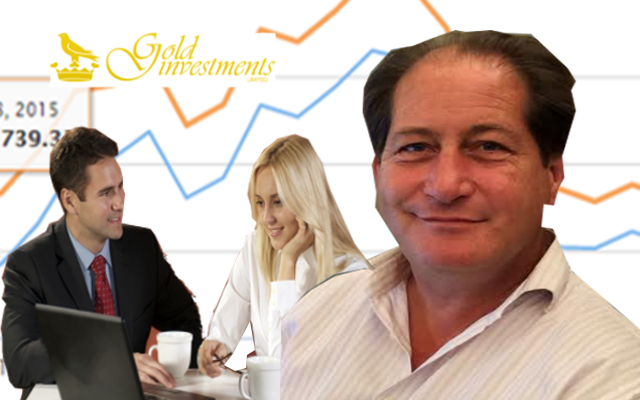 Instead gold should be around 5% – 10% of an investment portfolio. Gold should be thought of more as an insurance policy. There are different ways of investing in gold such as Gold backed Exchange Traded Funds (ETFs). At Gold Investments, we deal with physical gold – and we have built up a first – class reputation in the field since we began in 1981. We are one of the oldest bullion dealers in the UK and are trusted by our many customers. Physical gold is held by most central banks and in fact many – such as Russia and China – have been buying the yellow metal in large quantities. Gold is a finite currency which is universally accepted. Physical gold can also be passed down the generations. Buy Gold Coins Or Gold Bars? Whether you buy gold coins or gold bars is up to you. We are always happy to pass on our expert knowledge. Gold coins perhaps have the advantage that they allow for greater flexible. You could sell off part of your gold coins portfolio, rather being tied to selling the whole investment. Gold coins are easier to sell. For larger investments, gold bars maybe a better alternative from a practical point of view. The Britannia and Sovereign are also attractive for investors which in the UK are both legal tender. If they are sold there is no capital gains tax to pay. It is worth noting that there is no VAT to pay. One of the most popular coins is the South African Krugerrand. In 1980, the Krugerrand accounted for 90% of the global gold coin market. What some may not realise is that gold can be used as part of their Self Investment Pension Porfolios. You can see more details here. Investors may not know that physical gold can also be stored securely. Gold Investments’ bullion vaults are at London Silver Vaults at Chancery Lane, which have their own interesting history. You can read more about the vaults here. Buying gold online does not have to be daunting. We do have a wealth of experience and are always happy to pass on our knowledge to investors. Gold could be a good investment for any size of budget.